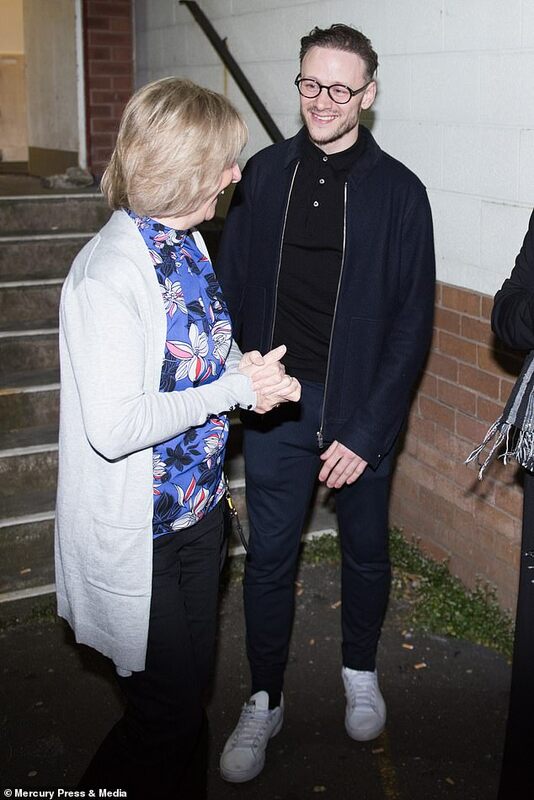 He’s known for his constant banter on social media with his actress wife. 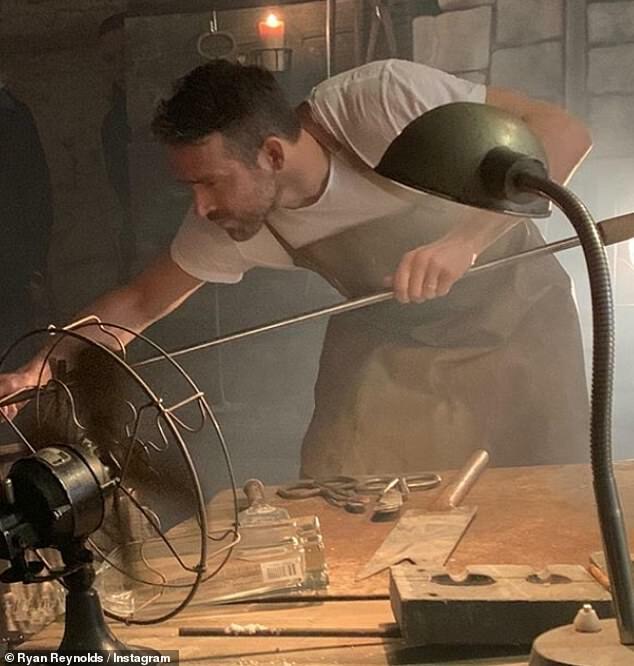 Yet, Ryan Reynolds swapped his usual humour for gratitude as he shared a rare Instagram snap with wife Blake Lively alongside a number of behind-the-scenes photo from Aviation Gin’s latest advert shoot. 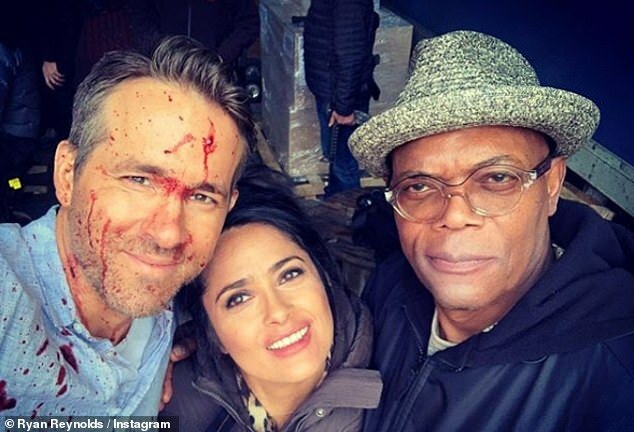 The Deadpool actor, 42, took a break from filming The Hitman Wife’s Bodyguard to shoot the advert in Croatia and took to the photo-sharing platform to give his fans a sneak peek of the project. 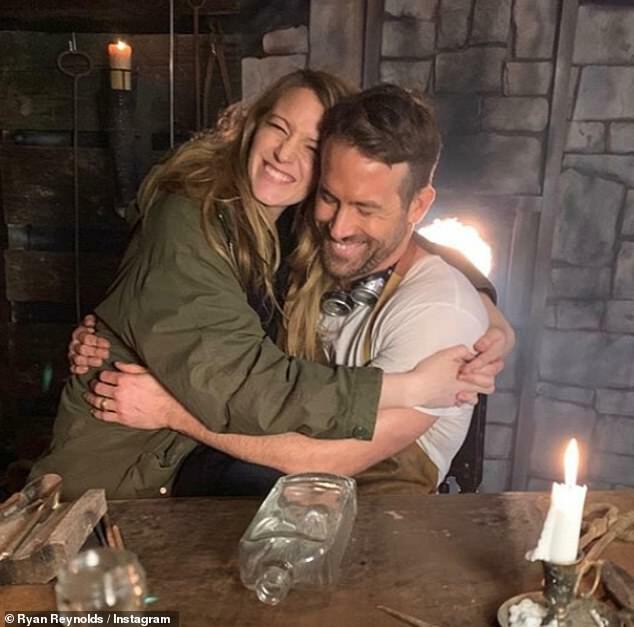 Amongst his thank yous, Ryan shared a rare shot with Blake, 31, as they cuddled up together inbetween takes of the shoot. 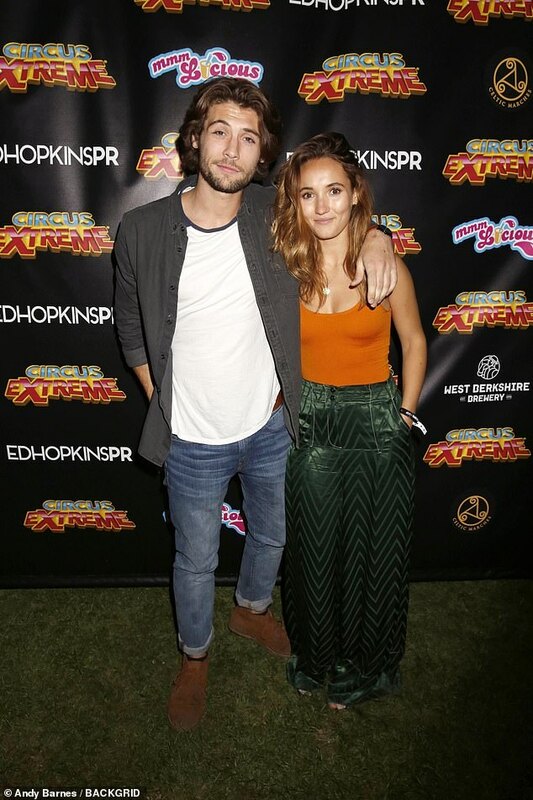 Wearing an oversized khaki-coloured jacket, the Gossip Girl star wrapped her arms tightly around her man and closed her eyes for the embrace as Ryan reciprocated the same amount of emotion. Blake showcased her natural beauty in the shot as she accentuated her radiant complexion with little make-up and left her honey-hued tresses loose in a tousled style. 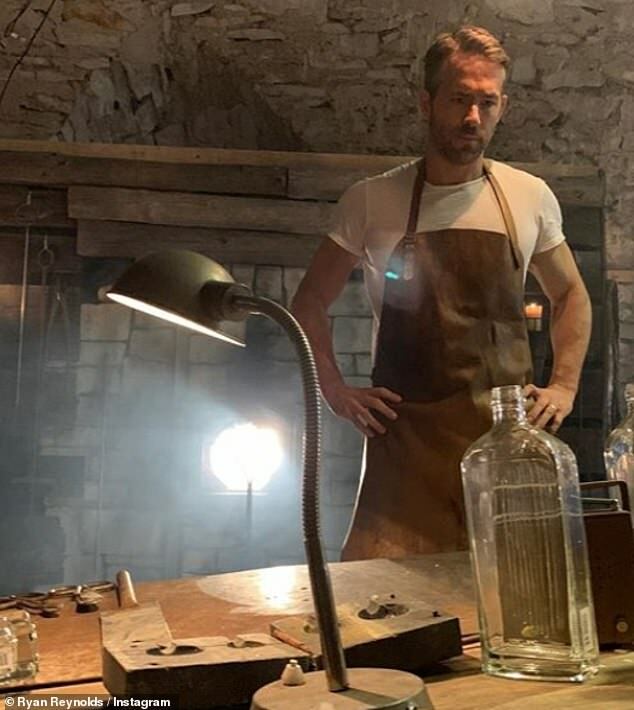 While Ryan donned a white T-shirt with a tan-coloured apron and goggles as an empty bottle of his Aviation Gin lay infront of him on a distressed work bench. In another shot, The Proposal actor shared another two shots of him clad in his craftsman costume and what appeared to be a glass blower alongside another picture with the ad’s entire crew. He captioned the post: Shooting latest spot for @AviationGin in Croatia. Picture by: @blakelively. Giant thanks to our incredible local crew… And last but never least, our friend and collaborator, @rowlandbb #MaximumEffort . 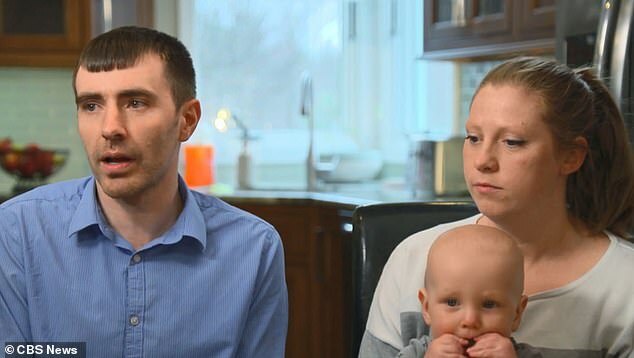 Blake and Ryan have been married since 2012 after first meeting on 2011’s Green Lantern and are parents to James, 4, and Inez, 2, while both juggling busy careers. 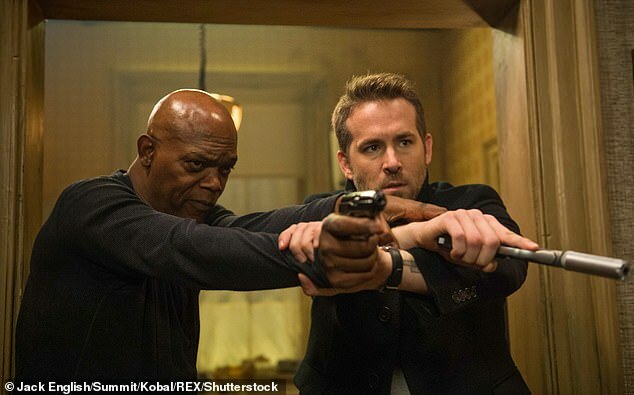 Meanwhile, Ryan has been in Croatia since March filming the sequel to The Hitman’s Bodyguard alongside Salma Hayek, 52, Samuel L. Jackson, 70, Morgan Freeman, 81, and Richard E. Grant, 61. 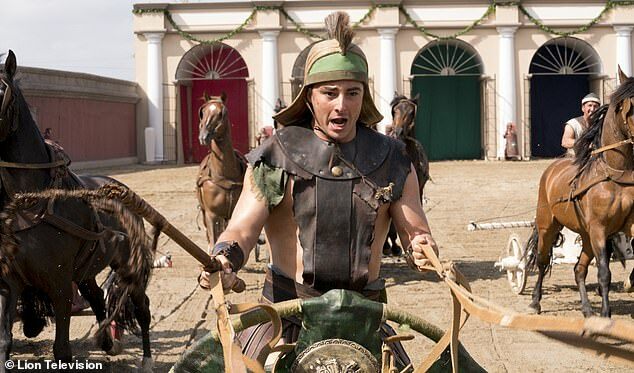 The film received mixed reviews, with critics praising Reynolds and Jackson’s chemistry but criticizing the clichéd plot and execution. 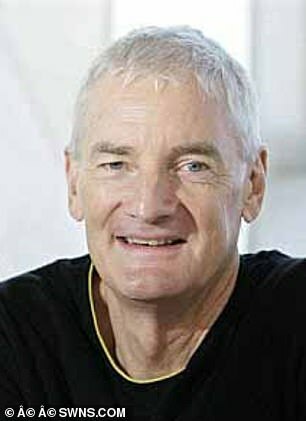 This time Michael is enlisted by Jackson and Hayek’s character’s to join them on a mission along the Amalfi Coast.